Rare Model - Rare Colour. This is one hell of an amazing Gibson Les Paul. It is a brand new Gibson Les Paul Custom - SILVERBURST. 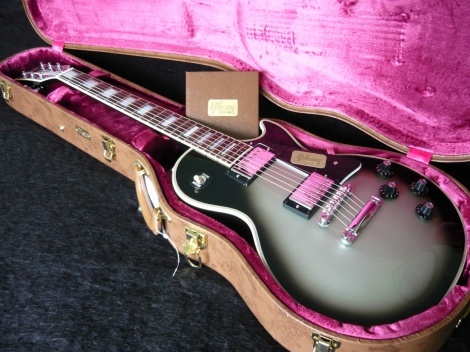 A couple of years ago, Gibson produced a few '79 reissue Les Paul Custom Silverburst. Gibson only made Silverburst from '79 to '81 so they are quite rare. This is a brand new 2012 model, unplayed, 100% mint, not been a demo in a retail store and comes with a Gibson Custom Shop Certificate of Authenticity. Retail $6000. Why pay full retail?